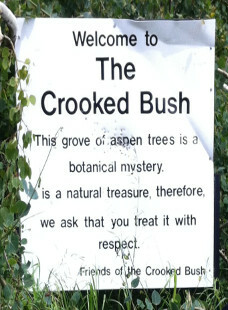 You'll find the Crooked Bush in a three acre grove of Aspen trees on private land North-West of Hafford. 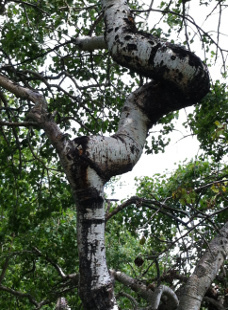 Branches loop,twist, and reach in every direction. Although a naturally occurring phenomena, some say the trees have mythical qualities. A winding boardwalk protects the trees and their habitat.